As you probably already know by now, diabetes type 2 is a disease that is totally controllable if you eat the right things. And very few people know of all the natural diabetes food cures out there. There are a number of natural ways that you can control your blood sugar and potentially help prevent you from having to pop a pill. Here are 3 natural ways to reduce high blood sugar. Karela is a an unripened edible fruit grown in many tropical places and is one of the most bitter melons. It is mostly used in India, parts of the West Indies, Africa and China to help people with diabetes improve and control their blood sugar. This is most commonly used in Asian and African medicine. Karela contains a lectin that has insulin-like effects mainly because of its non-protein-specific binding to to insulin receptors much like insulin to allow glucose to be taken up by the cells. A process that is greatly reduced in an insulin resistant type 2 diabetic. In studies this lectin has been shown to reduce blood sugar by acting on cells much like insulin and also have an effect on the brain to reduce appetite. Much of the effects on lowering blood sugar that happen after eating karela is from the lectin. Eating prepared foods that contain bay leaves have been show to greatly help give the body a boost and control glucose in the blood. As we discussed before the problems happen when blood sugar rises too high with diabetes. Bay leaves can be made by steeping a few bay leaves in hot water. 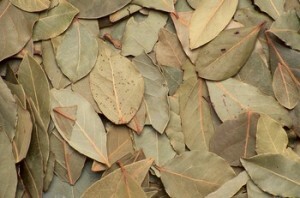 The recommended dosage of bay leaves is about 2-3 cups per day. You can also add bay leaves to sauces or soups. One word of caution around bay leaves is to never eat them directly. They can be poisonous. There have been several studies that all point to patients drinking a vinegar drink and improving their insulin sensitivity. Insulin sensitivity means the cells become more sensitive to insulin’s effects instead of being resistant or what is known as insulin resistance. Insulin resistance is a concept which I remember teaching physicians and residents many years ago before much of the literature even knew what it was. We now know that this is a major cause for poor blood sugar control with type 2 diabetes. Well vinegar treatments have been thown to improve insulin sensitivity by up to 40% in patients who drank 1/8 cup of water diluted with water and sweetened with saccharine before a high-carbohydrate meal. Of all the treatments for type 2 diabetes, I prefer natural health. They have fewer side effects and they flat out work. So put these 3 diabetes natural cures to use and remember that you can control diabetes. It doesn’t have to control you.